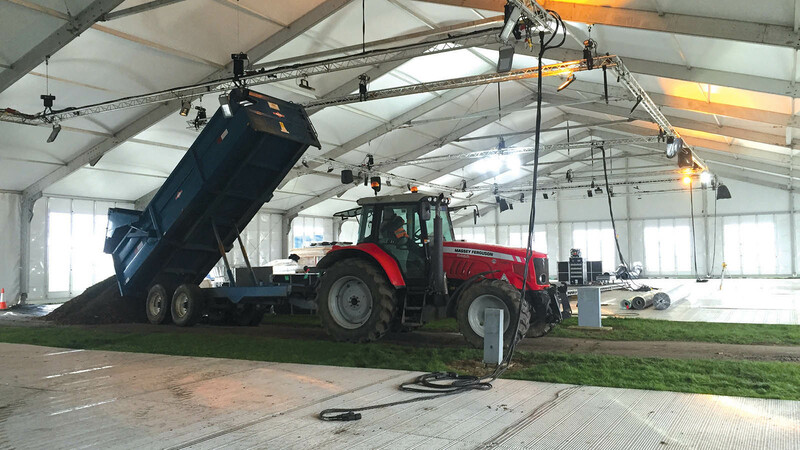 Ever walked around the Lamma show and wondered at how much work goes into the exhibits? Agco gives Jane Carley an insight into a year’s planning which leads up to Lamma. 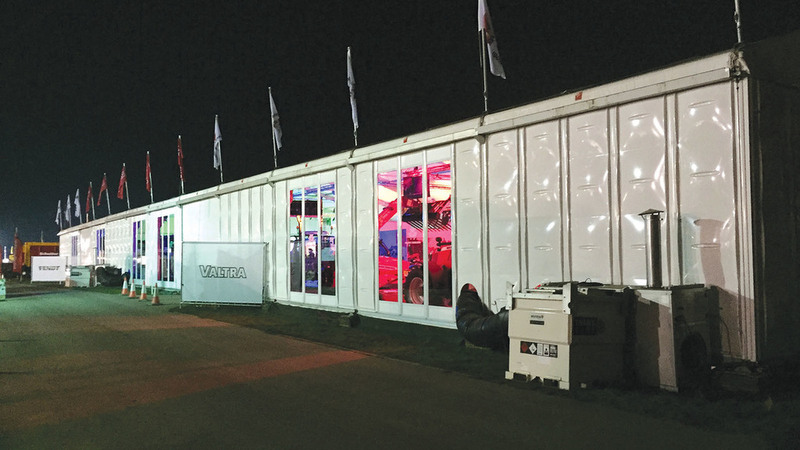 Lamma 2016 saw Agco take its trade stand ‘undercover’ for the first time, with its four brands housed in a large structure. 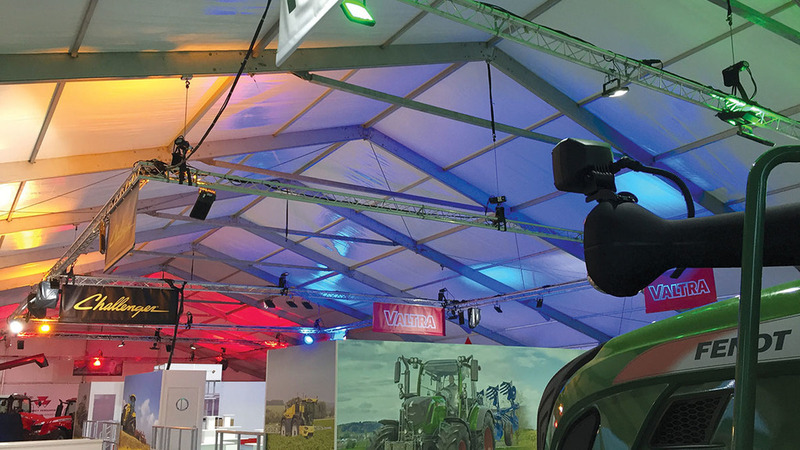 With 900 stands covering the East of England showground, Lamma is the biggest machinery show in the United Kingdom. For a lot of exhibitors it is their most important domestic event of the year, and planning their presence takes many hours and a considerable chunk of their marketing budget. 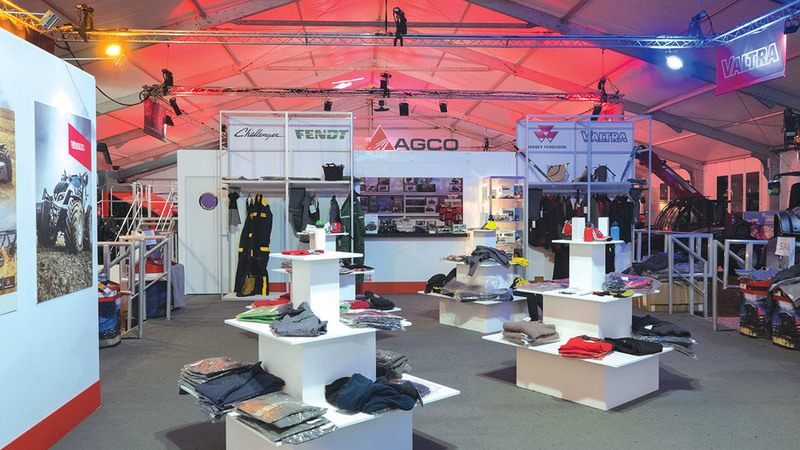 In recent years Agco has exhibited at Lamma with a joint stand for its four main brands. 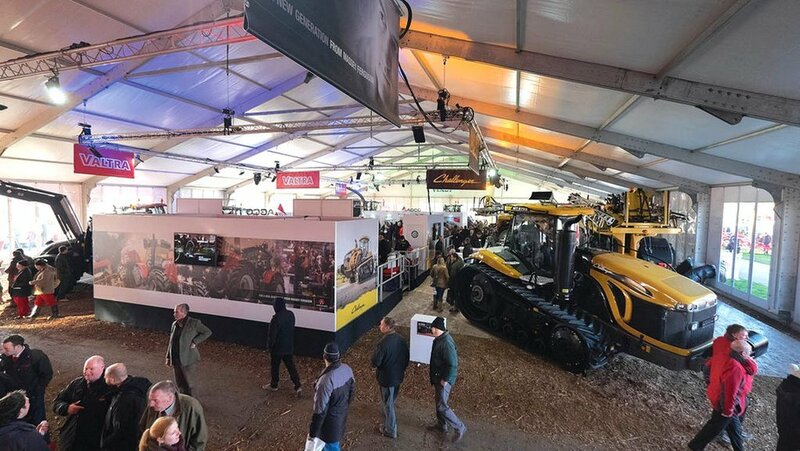 Ms Haddon comments that the Agco marketing team have similar responsibilities for smaller British shows attended by Agco brands, such as Cereals and the Royal Highland, but planning lead time is a lot shorter for those, with Lamma preparations ticking away in the background virtually all year round. Planning begins with a review meeting shortly after the previous year’s show at which formal and anecdotal feedback from dealers, customers and colleagues is considered, explains Richard Miller, Fendt and Valtra advertising and sales promotion manager. Keeping the stand accessible and inviting is one challenge of ‘going undercover’. 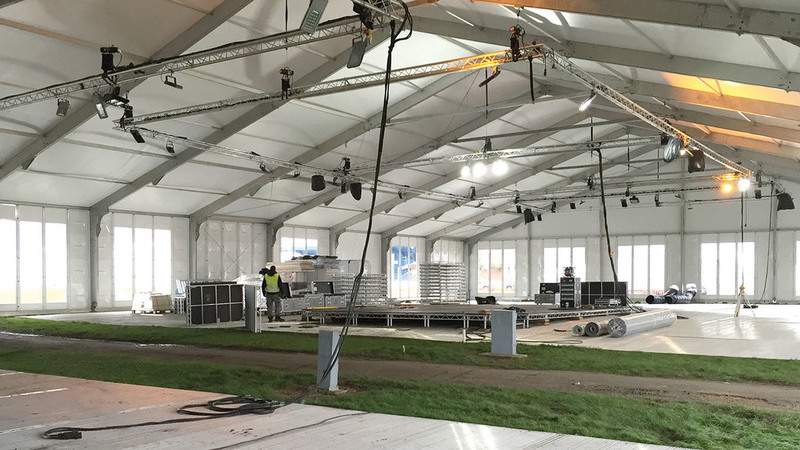 Stand design and construction is the responsibility of contractor Jimmy Birchmore Events and close contact is maintained between the two parties throughout. 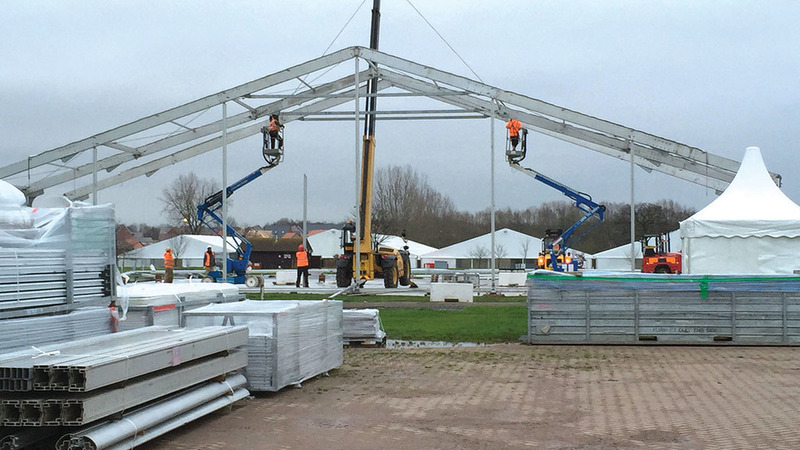 Ahead of Lamma 2016, Agco took the decision to alter the stand design from a mainly outdoors exhibit to covering the entire stand with a large marquee structure. “Shows are first and foremost relationship builders for us. We felt that we wanted to offer our customers a more comfortable environment in which to look at and talk about the products and enjoy a hot drink,” says Ms Haddon. As events contractor, Jimmy Birchmore explains, it is important to keep the stand design inviting to visitors. A central area was dedicated to hospitality and merchandise. The design gave each of the brands its individual corner of the stand with a central hospitality and merchandising area. Mr Birchmore also planned four entrances with visitors able to see all four brands from each. An ‘indoor’ stand also has to be able to accommodate large machinery, so certain parts of the layout have to be finalised at an early stage. “When building the structure, some machines have to go in before the roof is completed,” he explains. As the year progresses, Richard Miller and Lindsay Haddon confirm exactly which machines will feature at the show and begin sourcing them. Each brand gets an equal profile and can be seen from any of the entrances. “Tractors may have to be ordered in from the factory to ensure they are available as inventories will be low after the end of the financial year; others come from demonstration fleets,” explains Mr Miller. Once the machines are selected, the layout is finalised with the individual brand teams. Preparing promotional material for each product is another task. While many customers now prefer to check Agco’s websites for product details or have information sent directly to them, brochures are still requested so some 50 copies are delivered for each range; posters and other merchandise are popular Lamma giveaways. Promoting the company’s presence at the show takes place through the autumn using print and online media, social media campaigns and dealer promotions. Mr Birchmore makes a site visit in December for a preliminary mark out, with a further planning visit as the new year turns. Construction of the 30 by 65m structure starts on January 3. Weather also dictates the use of heating for covered structures – not for visitor or staff comfort but to clear any snow off the roof and prevent condensation affecting the lighting. Heating is installed to minimise the effects of snow or condensation. 1,650sq.m of trackway and 22cu.m of woodchip keep the stand firm under foot.